CSIR conducts the most prestigious National Eligibility Test (NET) examination for both research (JRF) and lectureship (LS) category in the Life Science domain. There are two types of questions; 2 (fundamental) and 4 (research based) marks asked in the NET examination. We have framed our book into two sections; unit-wise sorted questions from previous years followed by model questions for vigorous practices. 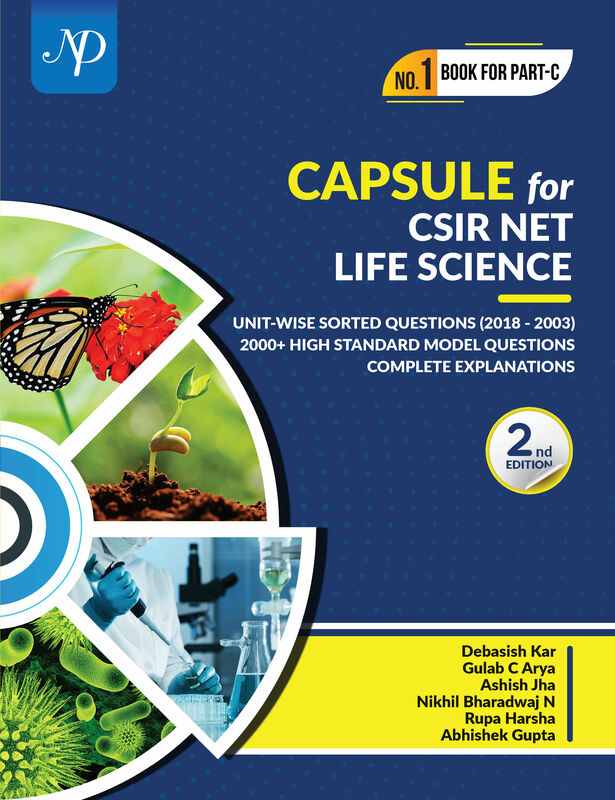 We have sorted out last 15 year of questions into unit-wise as par CSIR syllabus. In the model questions we have then sandwiched two similar module of CSIR into one chapter and subsequently framed questions as per CSIR 2 and 4 marks type. There are a total of 250 and 75 questions of CSIR 2 and 4 marks category respectively. All the answers are written with detail explanations to make students doubt free while answering any question of the book. This book will also be helpful to the PhD aspirants through DBT-JRF, ICMR-JRF, JNU-PhD, TIFR/ NCBS Int-PhD program across all discipline of Biological Sciences.